Stress, exhaustion, health and relationships challenges and performance issues may arise from an imbalance in the womb for women. 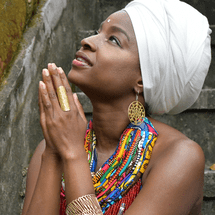 This private session is a holistic and comprehensive session created by Silfath Pinto to bring back the balance in a woman concerning the body and femininity through education, self-care practices and tools originated from ancient traditions. The benefits include an increase in energy levels and balancing hormones, reduced PMS and menstrual cramps, improving weak pelvic floor issues & nourishing the feminine essence so the woman can be more confident and heal emotionally. Lowest price guarantee. Classes on skilldeer are never marked up. After booking this class you will be contacted by the instructor to set your schedule as per your availability. Got questions about this class? An error occurred. Please again try later. Let us know your city so we can show you the most relevant classes, workshops and experiences around you. You can always change your city from the selection next to the logo on top of the page.